This document summarizes features and enhancements in Java SE 9 and in JDK 9, Oracle's implementation of Java SE 9. Describes the issues that developers must consider when migrating to JDK 9. Describes the updates to the core libraries in Java SE 9. This user guide provides RMI security recommendations. Summarizes the internationalization APIs and features of the Java Platform, Standard Edition. Describes how to build, package, and deploy your Java and JavaFX applications. This guide describes the features of the Java Virtual Machine technology which includes the Java HotSpot VM technology. Provides information to help you select a garbage collector and tune certain parameters to achieve a desired level of performance. Describes the updated language features in Java SE 9. Describes the use of the Nashorn engine for Java application development. Describes the use of scripting languages in Java applications, and how to access Java constructs from scripts. This guide helps you build applications using the Java security framework. 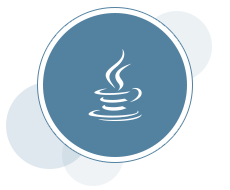 This document contains reference information for the tools that are installed with the Java Development Kit (JDK). Describes how to use Java Shell (JShell), a Read-Eval-Print Loop (REPL) tool for exploring the Java language. Provides information to help you troubleshoot issues that might occur with Java Client applications created on the Java Platform, Standard Edition (Java SE) and Java HotSpot VM. This document describes how to create accessible applications with Java Access Bridge, Java Accessibility API (JAAPI), and Java Accessibility Utilities.